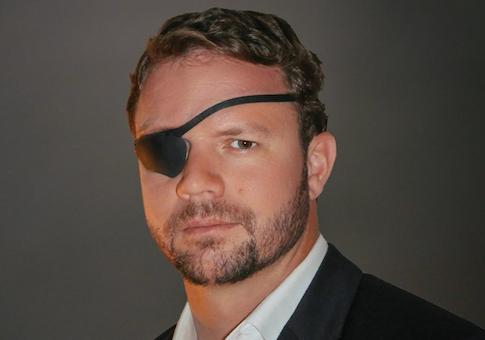 Retired Navy SEAL Dan Crenshaw will face a Texas state representative in the Republican primary runoff for the seat of retiring U.S. Rep Ted Poe. Crenshaw served combat tours in Iraq and Afghanistan, where he lost his right eye after encountering an improvised explosive device in the deadly Helmand province. He is set to compete against first-term State Rep. Kevin Roberts in the May 22 runoff election. Republican fundraiser Kathaleen Wall failed to make it to the runoff despite contributing nearly $6 million of her personal money to the campaign. Wall outspent Crenshaw 60 to one and clinched high-profile endorsements from Texas Gov. Greg Abott and Sen. Ted Cruz. Brendan Steinhauser, a political consultant for Crenshaw, attributed much of the campaign's success to its grassroots strategy that targeted individual voters rather than broad swaths of the Houston-area population. Unlike Wall, Crenshaw ran few radio ads. "That allowed us to spend our dollars and time efficiently and effectively and help us win the margin of victory in the end," Steinhauser told the Washington Free Beacon on Wednesday. "Dan ran a campaign that was very transparent and created many opportunities for voters to get to meet him face-to-face. He handed out his cellphone number to anyone who wanted to talk to him about the race or about issues they care about. He had a story to tell about his life experience, being a warrior, being a hero, and being called to serve, and it resonated with people because it was genuine." Crenshaw won nearly 36 percent of the Election Day vote to Roberts's 27 percent, but the former SEAL slipped into second in the total vote count, where he took 27.4 percent of the vote to Roberts's 33 percent. Wall came up just over 100 votes shy of edging out Crenshaw to advance to the runoff. Steinhauser said the campaign will continue connecting Crenshaw directly to voters. "We have a lot of momentum that will carry over, but we also have to expect the campaign to be a tough one," he said. "A lot of this will come down to turnout, so we have to do a good job of connecting voters directly to [Crenshaw] and then get supporters to the polls so that we can prevail." Democratic hopes of an overwhelming wave that would help carry the party to control of the House in November failed to materialize in Texas on Tuesday night. Despite more than doubling the Democratic primary turnout from the 2014 midterms, the party's leading candidates underperformed. Rep. Beto O'Rourke, who will challenge Cruz in November, won the Democratic Senate primary with 62 percent of the vote, but lost almost 40 percent to two little-known candidates. Cruz received twice as many votes in the Republican primary, raising questions about whether O'Rourke can compete competitively statewide. "Democrats keep swearing they'll catch the Texas unicorn and the media keeps egging them on," a senior GOP strategist told the Free Beacon. "Last cycle, the mainstream media fell over each other trying to catch a whiff of Wendy Davis's sneakers. Now they're shoving their way to the front of the crowd to swoon over Beto O'Rourke's guitar. There's an initial rush of media validation and artificially inflated hope, followed by a wicked crash and hangover. This morning it looks like it's back to rehab for the Democratic Party." This entry was posted in Politics and tagged Dan Crenshaw. Bookmark the permalink.